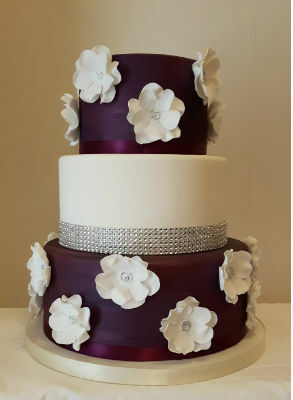 Painted purple with a soft metallic shimmer and bright white flowers. 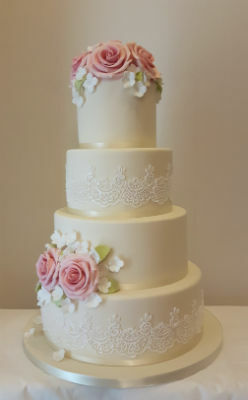 Beautifully romantic, with delicate handmade sugar lace and luscious pink sugar roses. 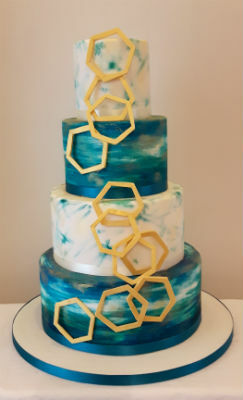 A gloriously bold painted turquoise blue design with on trend gold hexagons. 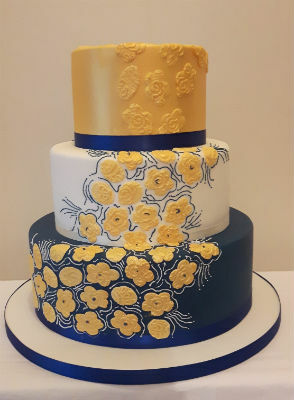 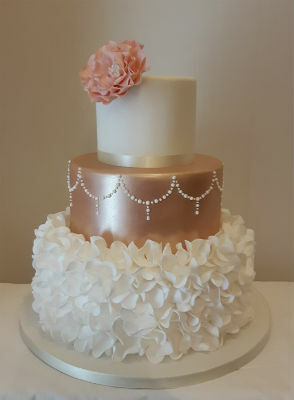 All made from sugar. 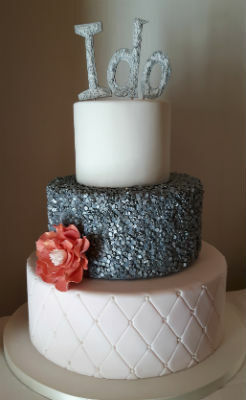 Edible silver sequins with soft blush quilting detail and a handcrafted sugar "I do" topper.Ask about creating your own personalised topper! 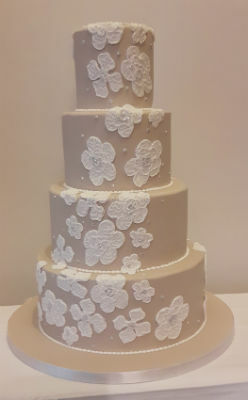 Beige lace design with a gorgeous touch of sparkle. 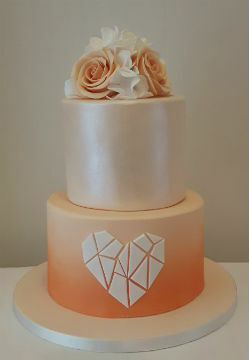 Peach sunrise with a gorgeous shimmer, delicate sugar roses and a modern cut out heart design. 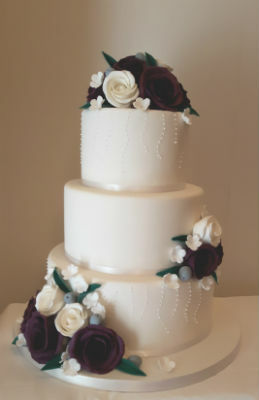 Pure white with delicate sugar work and dark purple roses. 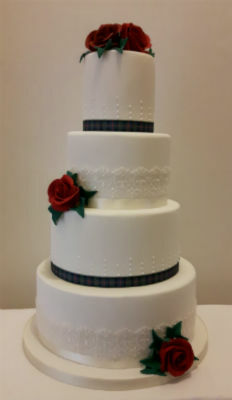 Bring out your Scottish spirit with subtle tartan detail and red sugar roses. 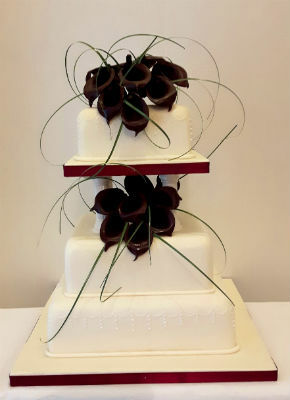 An abundance of bold dark calla lilies give this design a strong impact. 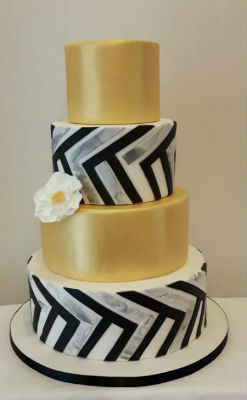 Metallic gold with marble, black and white.